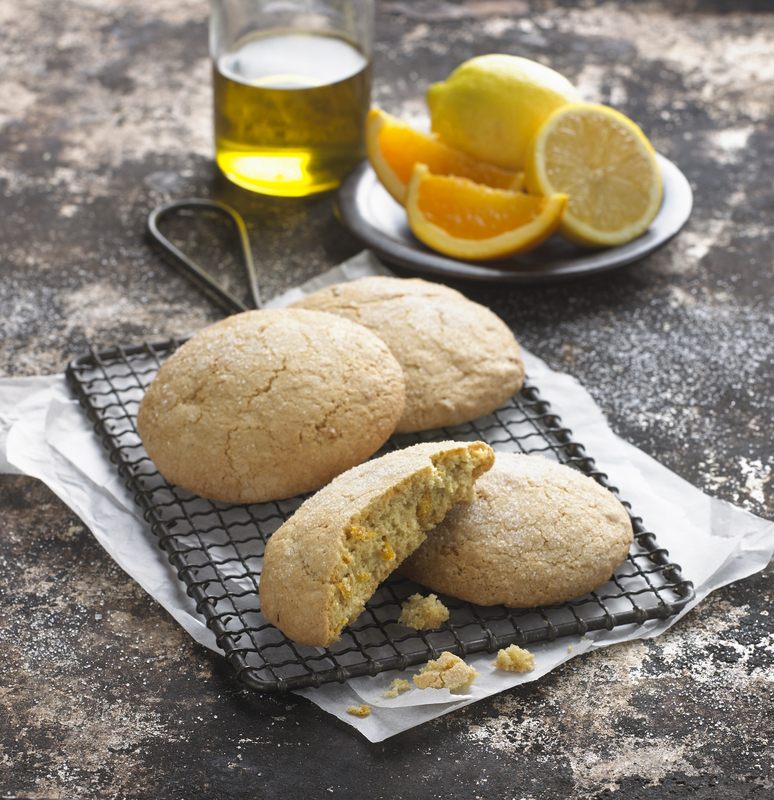 Olive Oil Citrus Sugar Cookies | Flavor Your Life. In a separate bowl, combine sugar, lemon zest, orange zest, and olive oil and mix with a spatula until it forms a grainy paste. Add eggs and vanilla and stir until smooth. Fold in dry ingredients until just incorporated. You should have a soft, oily dough. Fill a small dish with more granulated sugar. Scoop dough by the tablespoonful into balls and roll in sugar to coat. Arrange on a nonstick baking sheet, 2" apart. Bake for 11-13 minutes until tops are puffed, cracked, and begin to turn light brown. Let cool for 5 minutes and then transfer to a wire rack. Best eaten on the same day they are made!